One of the most famous types of tire defect, tread separation, gained public awareness with the Ford/Firestone litigation. But there are many possible types of tire defect. Tires fail in a variety of other ways including bead failure, circumferential exhaustion ruptures also known as “zipper failures,” sidewall failures, and even whole tire carcass separations. Most of the subtly different varieties of tire defects, however, fit into one of the following three categories: tire design defects, tire manufacturing defects, and “aged” tire cases. Design defects may include malfunction or lack of safety features. For example, designers were criticized for failure to include a “cap ply” reinforcement of tire belts in Mascarenes v. Cooper Tire & Rubber (Georgia), and Idar v. Cooper Tire & Rubber (Texas). In the Mascarenes case, a Federal Court in Georgia found that the absence of a full nylon cap ply supported a punitive damage claim because the model had been widely used in the tire industry since the 1960s. The Mascarenes court found further design defects due to the absence of belt edge wedges beneath the shoulders of the tire tread. 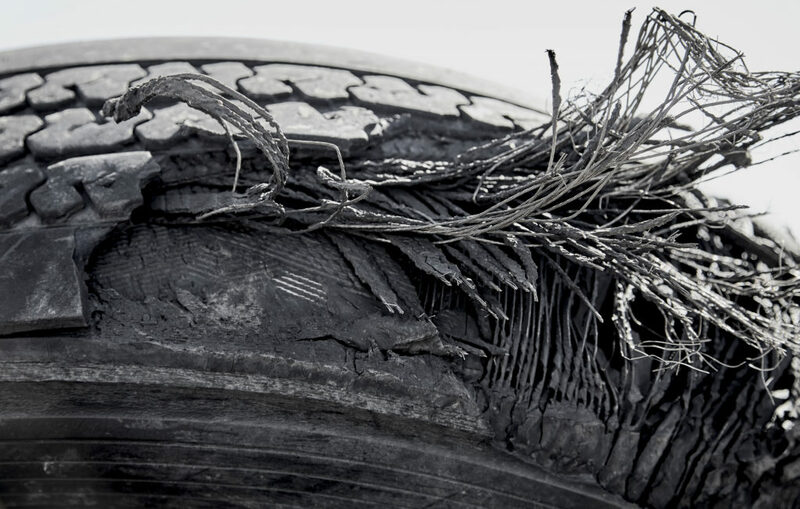 Tire designers and servicers may also be held accountable for failing to consider the effect of aging on a tire. Regardless of whether the tire is in use, age increases the likelihood that a tire will fail due to stiffened, less flexible rubber. In fact, many automotive producers warn of the risks of tire aging in owners’ manuals. The failure to incorporate anti-aging chemicals in the tire rubber to defend against oxidation and premature breakdown could give rise to a design defect claim. Like the claims against the individual part manufacturer that may arise in a vehicle defect case, tire design and manufacturing defects may provide an independent product liability cause of action against the tire designer/manufacturer in addition to the vehicle manufacturer, and possibly even the seller and/or tire servicers. If you think a faulty tire may have contributed to a vehicular accident, the first step is to preserve the tire and any pieces that came off for expert examination. Keep these items in a climate controlled area. The expert will look carefully at the tire and its condition, asking the following types of questions. Are there large pieces of tread missing? Does the tire have air pressure or will it still hold air? How old is the tire (determined by the DOT number)? Is there evidence of a lack of rubber adhesion possibly indicating a manufacturing defect? The expert will even examine an x-ray of the tire to look for missing and crooked belts, dog-eared belt splices, and “snaky” belts, any of which may indicate faulty manufacturing. Passenger and witness statements will also be important in determining whether a tire defect contributed to the accident. Often a tire failure is accompanied by a loud banging or slapping noise in the wheel well directly before the driver loses control of the car. This shows that the tread was coming off and hitting the wheel well as the tire was turning. Whether or not the tire contains a manufacturing or design defect, negligent actions by a tire servicer can also contribute to accidents. 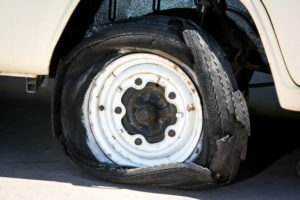 For example, installing improperly sized tires and rims or failing to inform a customer of signs of impending tire malfunction could both lead to negligence claims against a tire servicer.